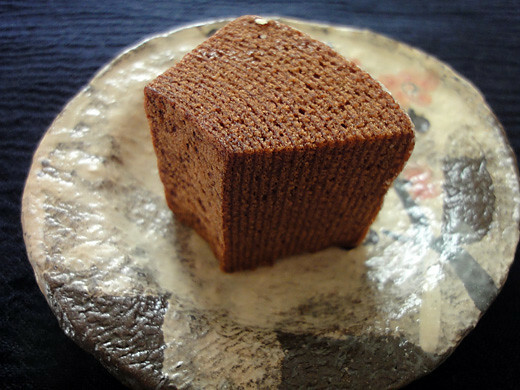 I got a very fancy sponge cake from Tsukiji-Chitose. 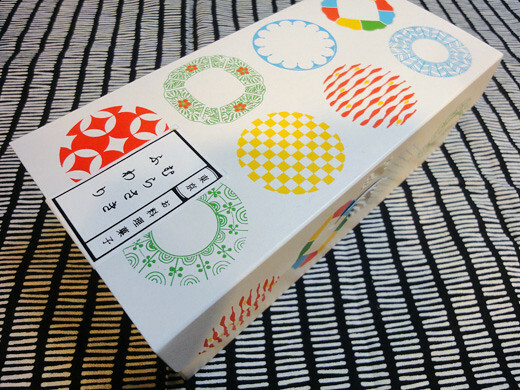 The taste, the box and the wrapping paper are made in very Japanese style. 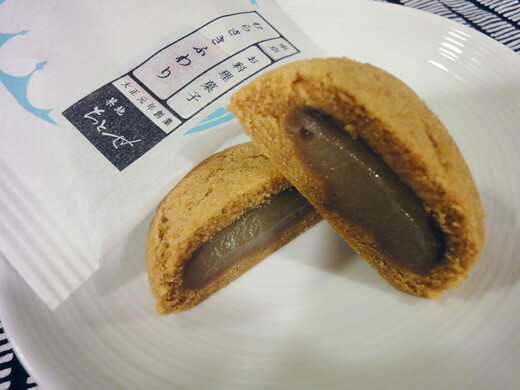 Also, it is very interesting that the gelee which is contained inside of the very soft sponge cake is made from seaweed soup and black bean soy sauce. 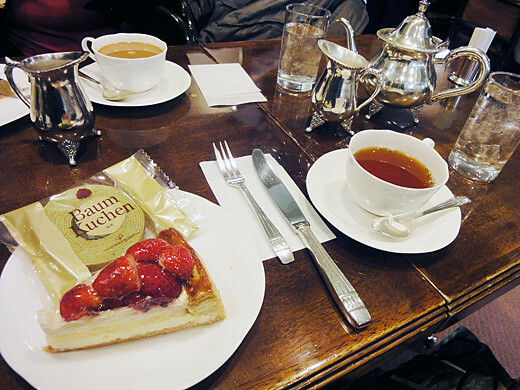 My friend and I went to Fugetsudo in Ginza to have some sweets and tea. 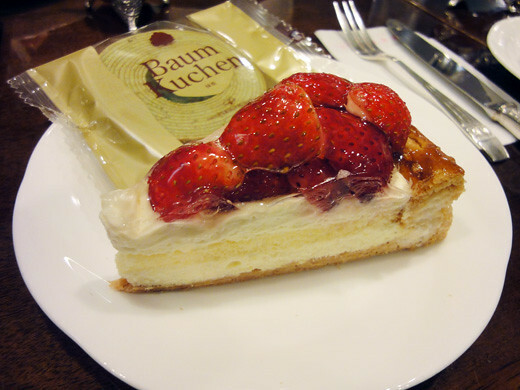 We had their seasonal sweet, a strawberry pie. 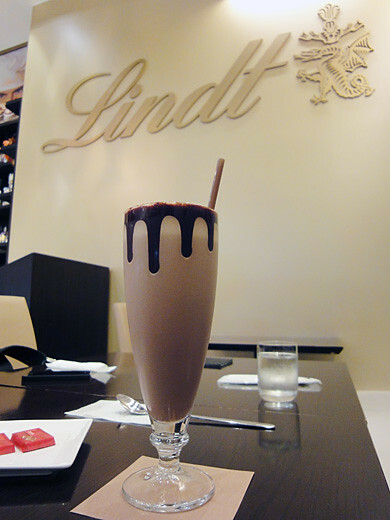 It looked very beautiful, and it was so good! 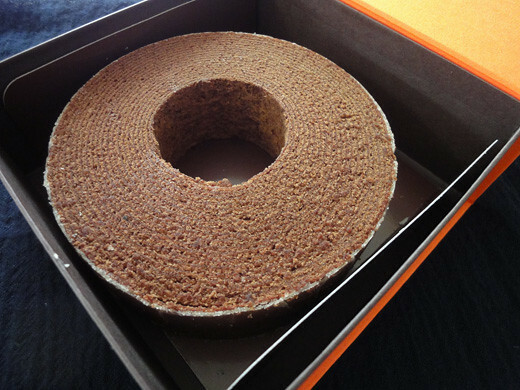 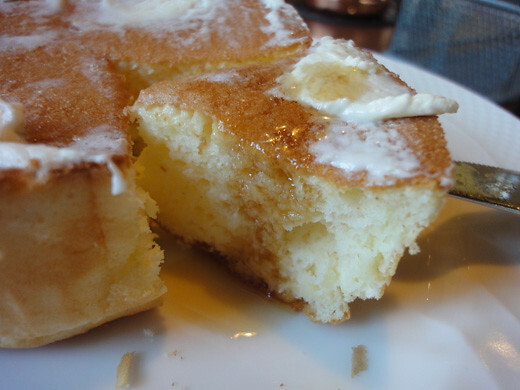 Also, they gave us their famous baked confectionery, Baumkuchen. 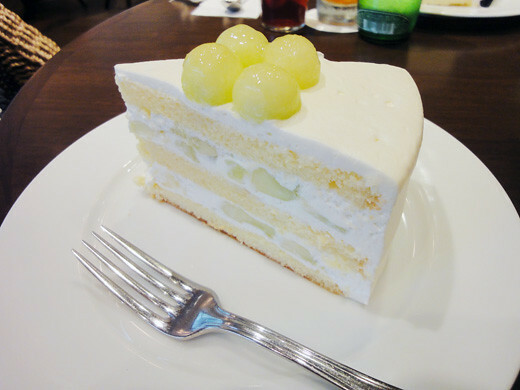 We had very comfortable time with very wonderful cake and tea. 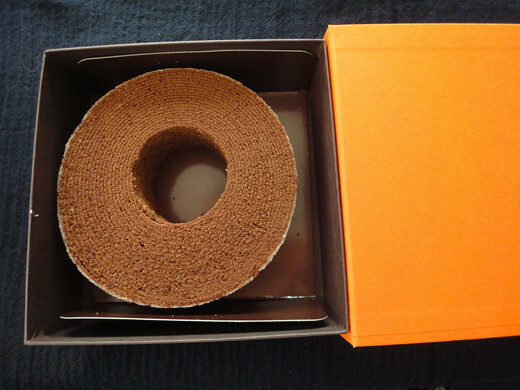 My friend gave me a chocolate Baumkuchen from Le Chocolat de H.
This chocolate baumkuchen was contained a very beautiful box. 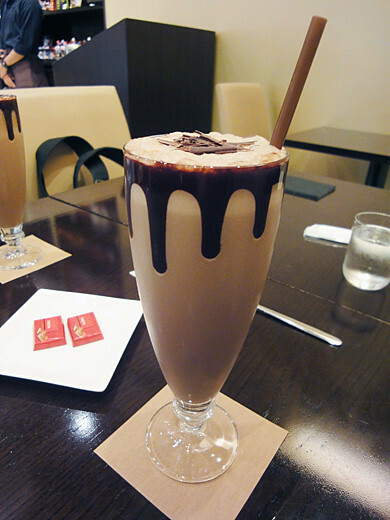 And, the taste was very good. 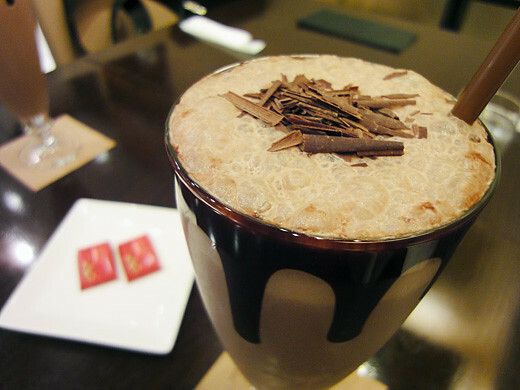 It was very moist, and it had very rich and a scent of chocolate. 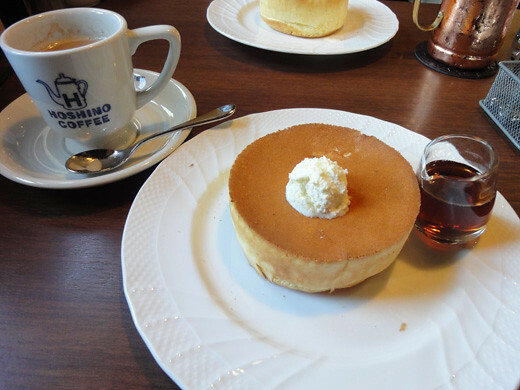 My family and I had a good tea time. 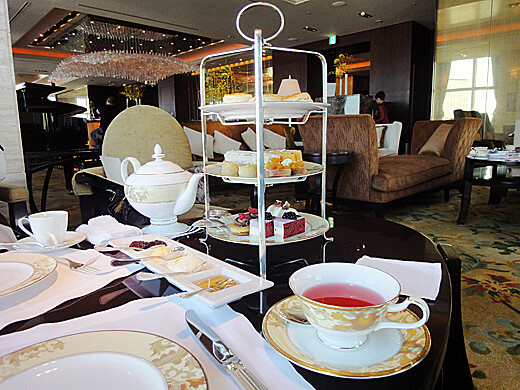 My friend and I went to Shangri-la Hotel Tokyo to have afternoon tea with Harney & Sons. 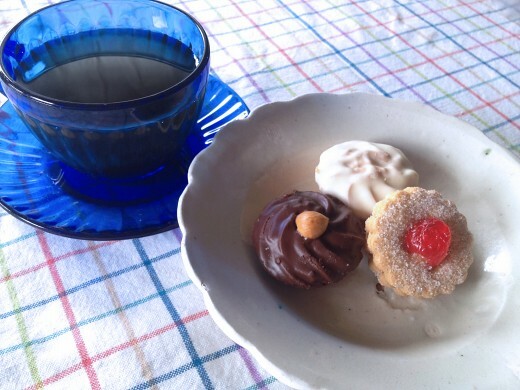 November 1st that was a special only 4-days afternoon tea party. 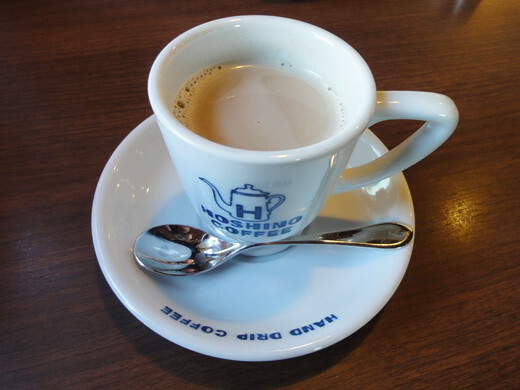 However, the American very fancy tea brand, Harney & Sons in New York is loved by the world. 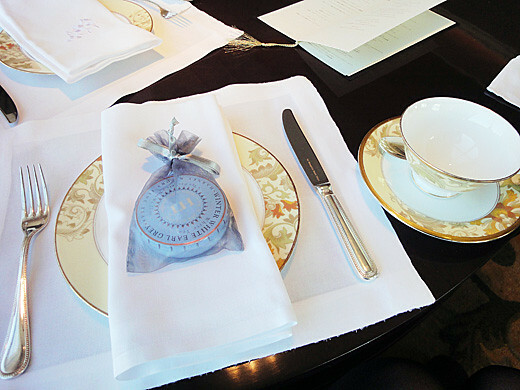 And, Mr. Emeric Harney who is a master tea blender of Harney & Sons came to the Shangri-la hotel Tokyo, and he introduced the special blend tea for us. 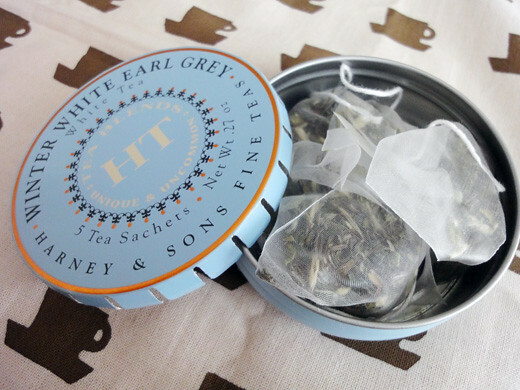 Also, we got a small present of his tea that was Winter White Earl Grey. 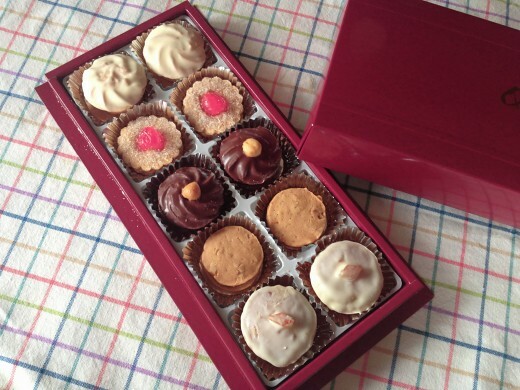 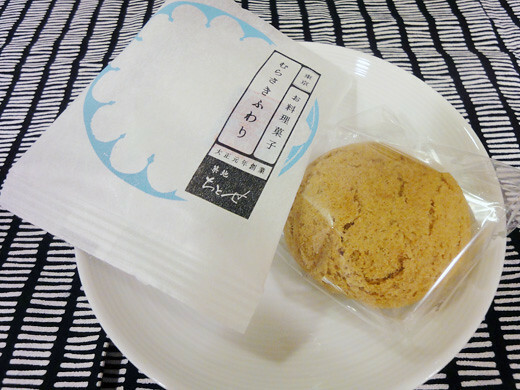 My friend gave me a nice set of cookie sold at Ohmiya yogashiten in Kanda. 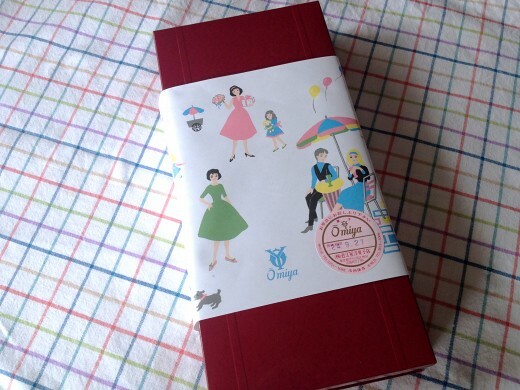 The retro paper wrapping the box is really cute. 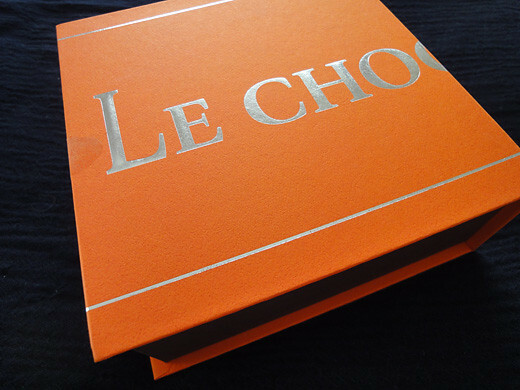 The box was full of beautiful candy like jewels. 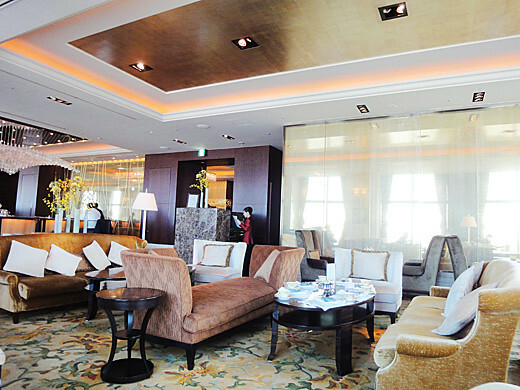 I enjoyed a luxurious teatime with red tea. 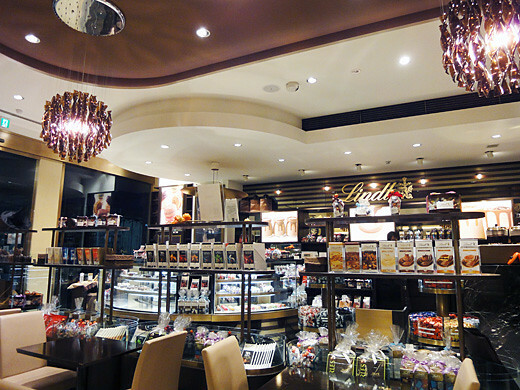 My friend and I went to ‘HARBS’ to have some sweets and tea at Yurakucho Lumine. 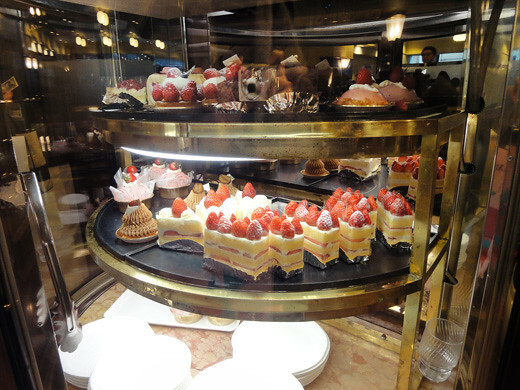 We were so excited because a lot of beautiful cakes were displayed in a showcase. 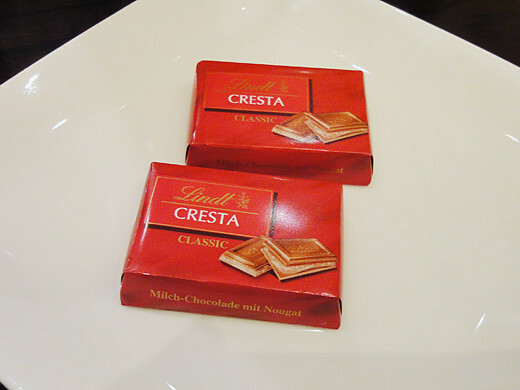 It was very hard to choose one from them. 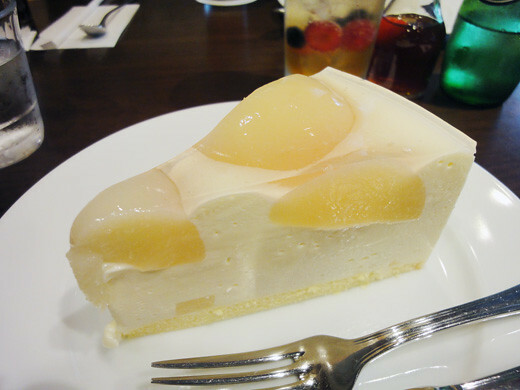 Finally, we chose a peach mousse cake and a melon sponge cake. 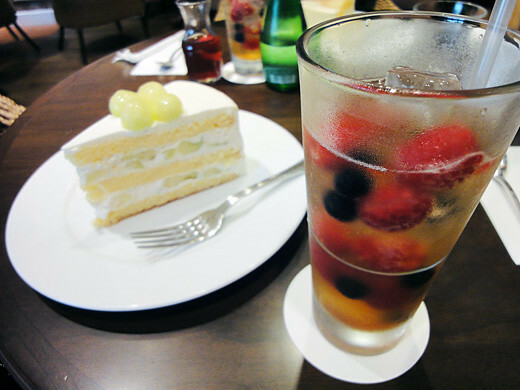 And, we got their original flavored ice tea, the raspberry tea soda which had a very fresh taste. 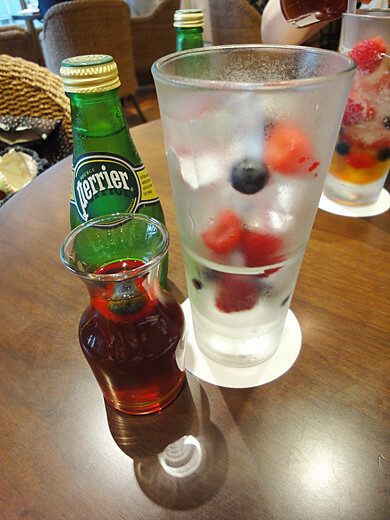 We poured the extracted flavored tea and French sparkling natural mineral water, Perrier into a glass that contains some fresh raspberries and blueberries.